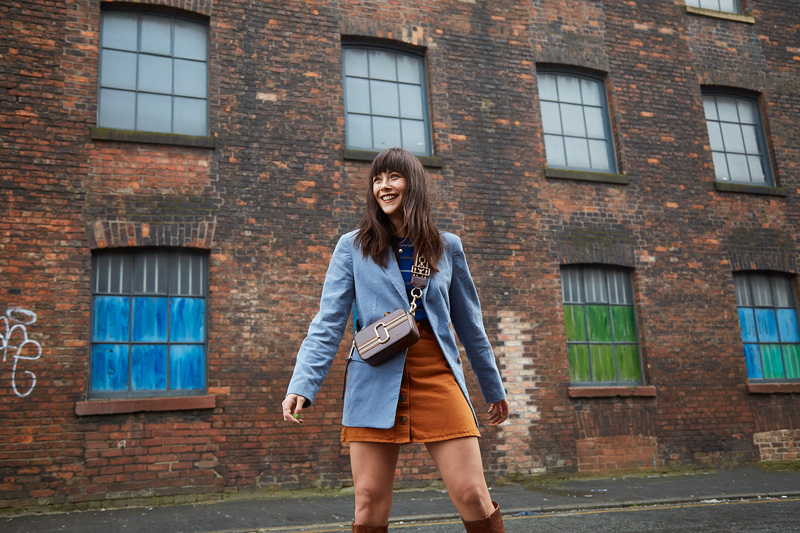 I’m so excited to finally be doing this blogpost, in all honesty it’s taken me a wee while to get cracking on it and to finish it off as you guys sent over SO MANY questions that I desperately wanted to answer for you. Thanks so much for all the questions by the way, it’s really provided some great structure to this post. It’s been just over a year, 15 months in fact since we moved into our first house together. It was such an exciting time to get on the property ladder and I am so totally in love with our home. We were lucky when we moved in that it had recently been white washed from top to toe so it was a perfect blank canvas for us to have some fun with. We really fancied ourselves as the kind of home owners that lived in a minimal all white world but we quickly learnt after a month or two of living in the space that, that just wasn’t us. We are a colourful couple in every sense of the world and we needed to inject that into our first home together. One year later and our home was complete! And we were thrilled to bits with it, even more so when made.com came over to take some snaps of it, how exciting! These are the shots from that shoot and if you fancy a nosey at the video tour too, then just click here. 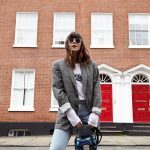 This isn’t a sponsored post and I wasn’t paid to be featured, we just thought it would be bloody gorgeous to have some professional photographs and an article/video of our first home to look back on when we’re old and grey. So, with that, I give you our home! You’ve seen a few mini room tours so far (living room & bedroom) but as you can see from these images those rooms have changed a lot. Both George and I get bored easily so it’s nice to keep things fresh with new soft furnishings, art and furniture. I promise some more detailed room tours will be coming up soon, including Dining Room, Hallway & Landing, Office and Bathroom, but I’m just waiting on the weather getting a bit brighter to really showcase each room to the fullest. But now let's get on with your questions shall we. What was your budget? How did you budget? Did you stick to a budget? Now a lot of you nosey parkers wanted info on what our budget was for both buying our house and decorating it, but as I’m sure the majority of you can understand this isn’t something I feel is relevant as everybody’s budget is different. Both myself and George are big savers, I’ve been saving for the deposit of a house for the past six years and saving isn’t something I struggle with however, when it came to the budget of decorating and furnishing our home we didn’t have a budget. Now this is something I’d definitely do differently next time as it’d be really interesting to know exactly what we spent on doing up a house but I have to be honest with you we just made it work. We knew we wanted to make it a home as soon as possible so we weren’t strict with budgeting. We did a lot of research, waited for seasonal sales at our fave interior stores (West Elm, Made, La Redoute etc) and shopped A LOT at antique markets to find really unique and fundamentally cheap pieces. There are loads of ways you can decorate and furnish on a budget, mostly by doing things yourself and up cycling is always fun; we painted half the house ourselves and the other half we got some painters in as we had ZERO time to do it ourselves throughout the summer. Where do you find inspiration? What are your favourite interior Instagram accounts? I got so many questions like this and if I’m honest it’s a question I struggle with. 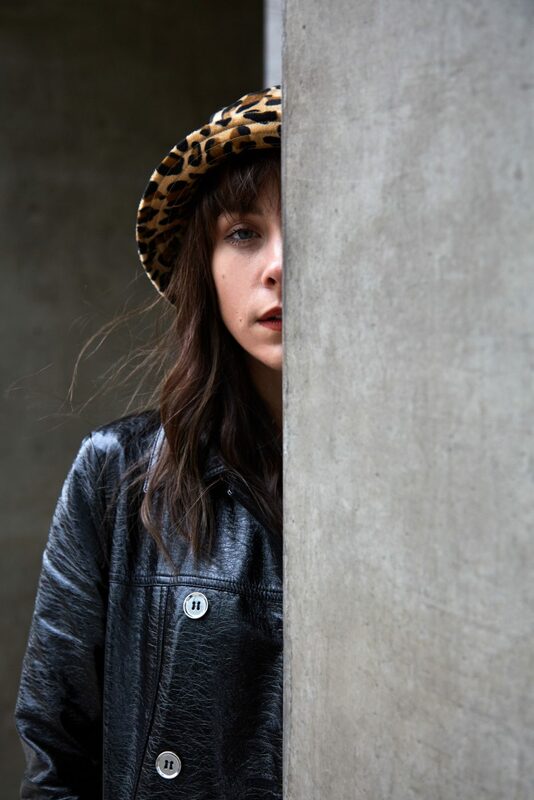 I’m inspired by so many different things and in very different ways whether it be the colour combination of a jacket I saw David Bowie rocking, something I spied in a local restaurant or something I’d seen online, the house took shape around a zillion different inspirations. 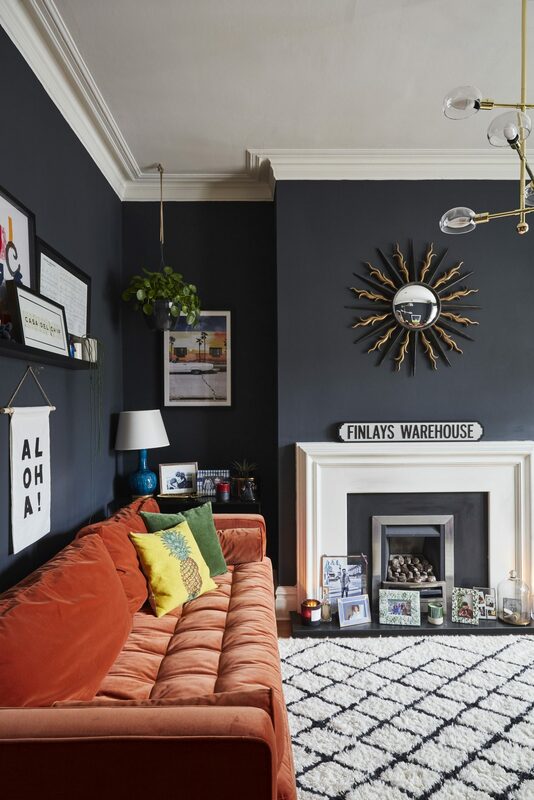 But when I really think of it the inspiration often comes from being completely set on a certain piece or colour; for example the living room took place around the orange velvet sofa, something I’d dreamed of having for years previous to actually having my own home. Similarly to the dining room I KNEW I wanted green walls and it all kind of worked around them. The bedroom was a little trickier as I’ve explained before as George already had the beautiful antique bed which I now totally adore but originally was daunted by as it’s a little out of my comfort zone. I managed to style the room around the ornate bed and what we were left with was a really beautiful and zen space that combines the old with the new. 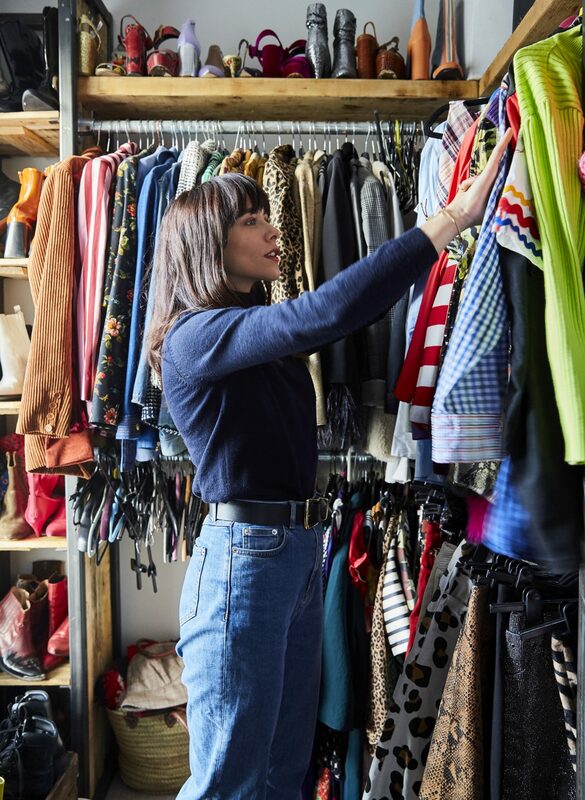 Take inspiration from wherever you can get it; note down colour combinations, tear out things from magazines, pin pin pin to all the Pinterest boards and just take it all in, you never know when you might use it. How do you plan the decor of each room and are you and George on the same page with home decor? I’ve basically already answered this as each room started with a certain piece or a colour and we go from there. George and I have very similar tastes so it’s been really quite easy in most respects, however George has VERY expensive taste so I’ve had to reign him in a few times which I must admit can be tricky at times haha. How do you select your colours? How did you know that dark colours would work and how do you keep it bright and airy? I’ve learnt a lot about paint along the way and how investing in a good quality paint really does make the difference. We’ve tried Valspar, Earth Born and Farrow & Ball and you can really tell the difference between the cheaper to the slightly more expensive. 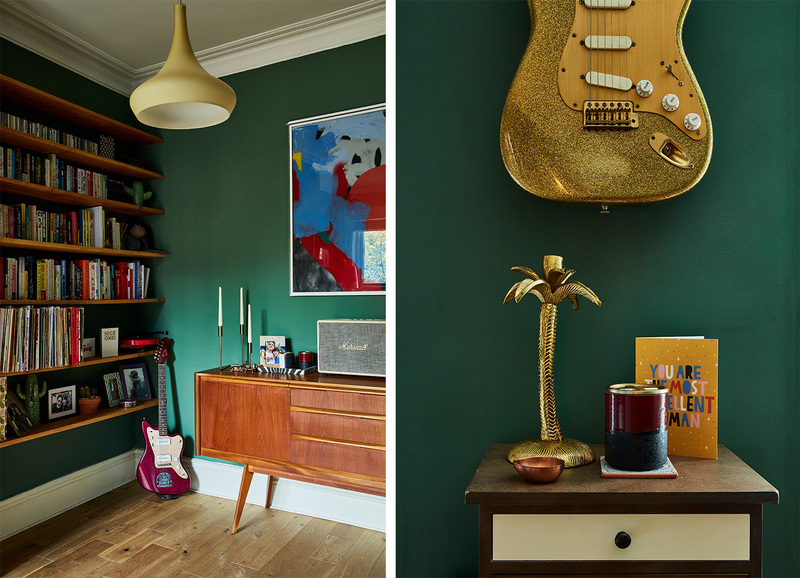 I LOVE going with Valspar as I truly love going to that big board in B&Q and playing with all the colour cards, it was one of my favourite things about doing up a house but I must admit their paint is a bit crap. 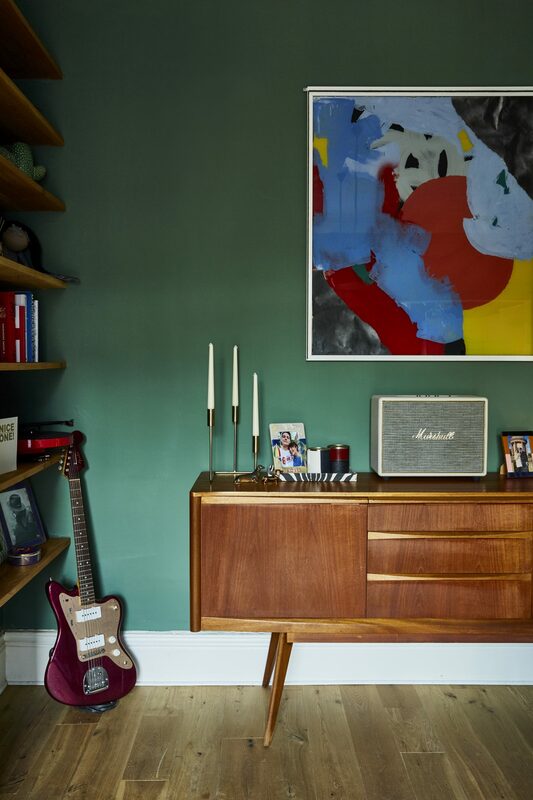 It takes A LOT of coats compared to Earth Born Paints and Farrow & Ball so you end up spending a lot more in the long run and wasting a lot of time going back and forth to B&Q to get the colour mixed up yet again. So after learning the hard way we stuck with Earth Born paints and Farrow & Ball for the rest of the house which made it a little bit easier to select a colour as the choice is less overwhelming than that of Valspar or Dulux for example. 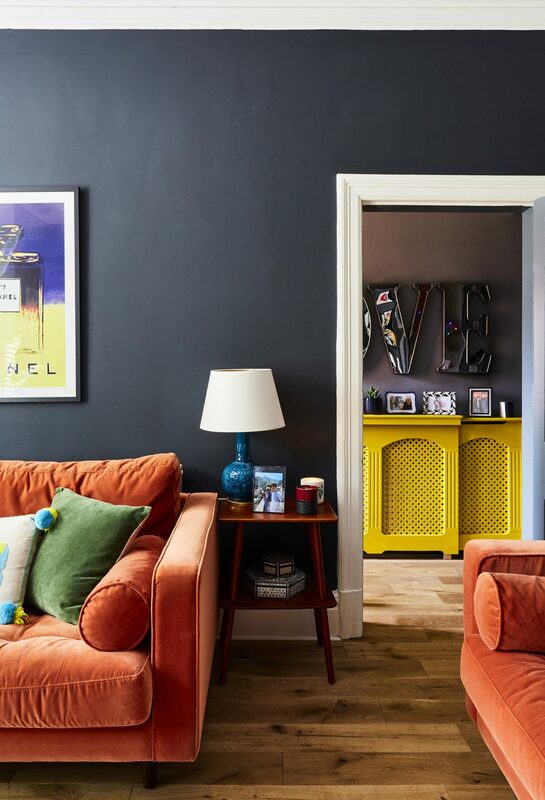 I always knew I wanted to have a really dramatic house, one that featured dark walls with lots of bright and colourful furniture thrown in for good measure. 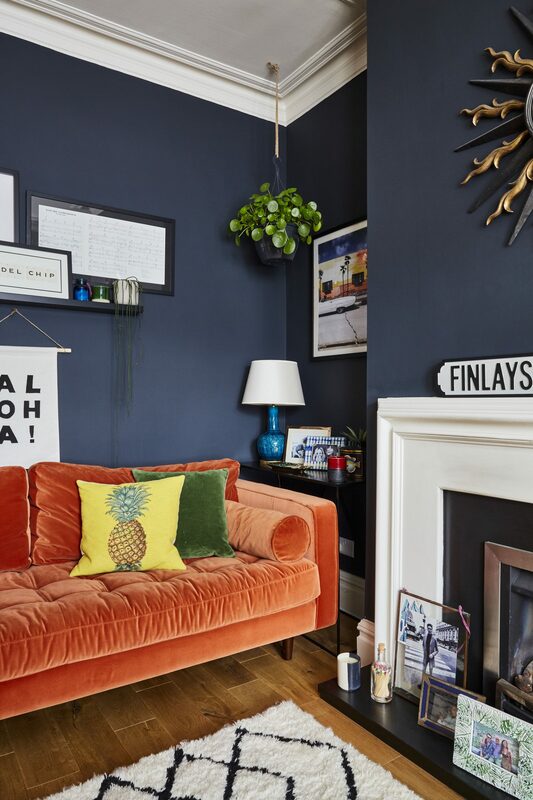 It’s a Victorian Terrace house so I knew it could handle it but in all honesty our mantra for decorating (and for much of life) is “wing it” if something doesn’t work out you can always change it, which we did… A few times. The living room features a gorgeous big bay window that lets in tonnes of light, whilst the dining room/kitchen is at the back of the house with much less light but we knew that this is where we’d do all of our hosting so making it feel cosy was more of a priority for us. 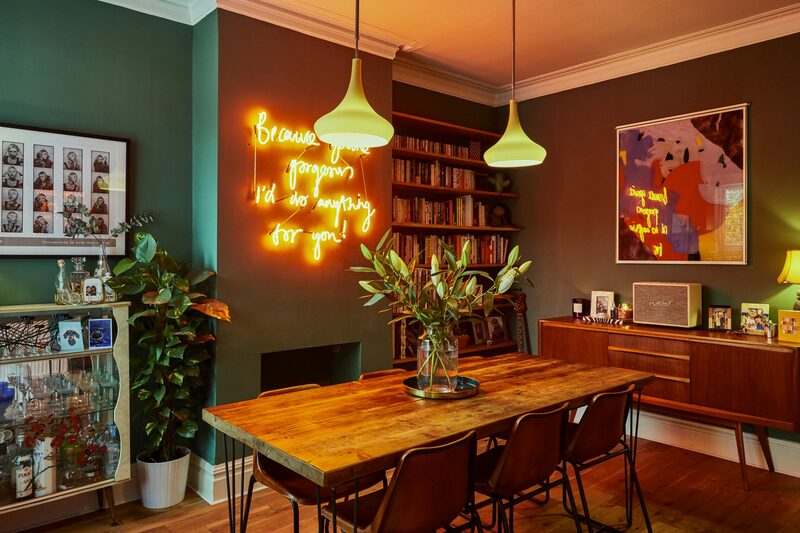 So with that we focused less on wall colour (I was adamant it would be green anyway) and more on lighting the space with the custom made neon and the antique 1960’s pendant lights. I slightly regret painting our stairs and landing quite so dark as this doesn’t get any natural light so during the winter it can be a pretty dark space but thats the fun of doing up a home, you learn along the way and I won’t make the same mistake with our next house. I truly adore the hallway as that is well lit, it’s more the landing thats a little dark at times, but I still love it as it makes such an incredible impact on entering the house. How do you make a room cosy? Cosiness is key for me when doing up a home. I’ve always been a sucker for candles, cushions a plenty and making sure the lighting is just right and no more so than with this house. The walls are darker so that instantly makes things feel super cosy but lighting is a biggie for me. I am absolutely appalled by big lights, you know, the main light of a room, I hate them! I am totally obsessed with lamps and am regularly on the hunt for new lamps to make a room even cosier. 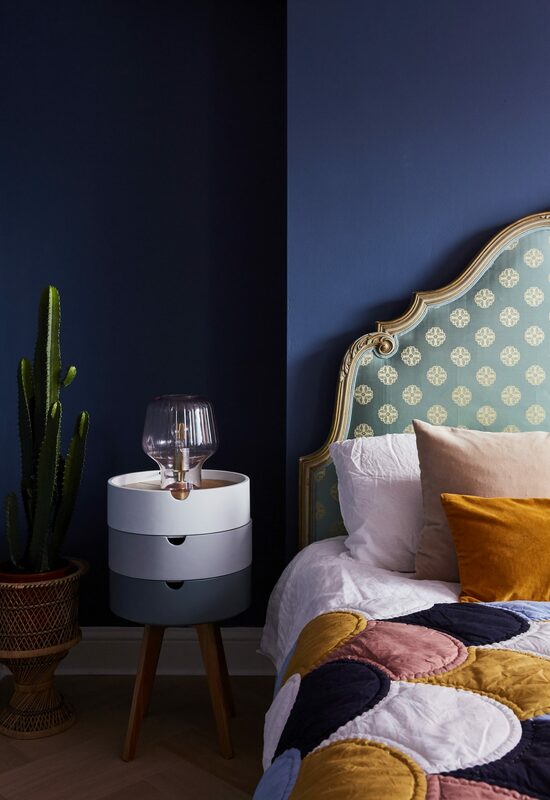 I love a statement lamp that packs a punch (see the flamingo, the parrot, the blue ornate pair in our living room and the velvet tassel number in our spare room) but with a cosy warm bulb within it. We have also been newly converted to Philips Hue lighting as it means you can get the lighting just right for any occasion. 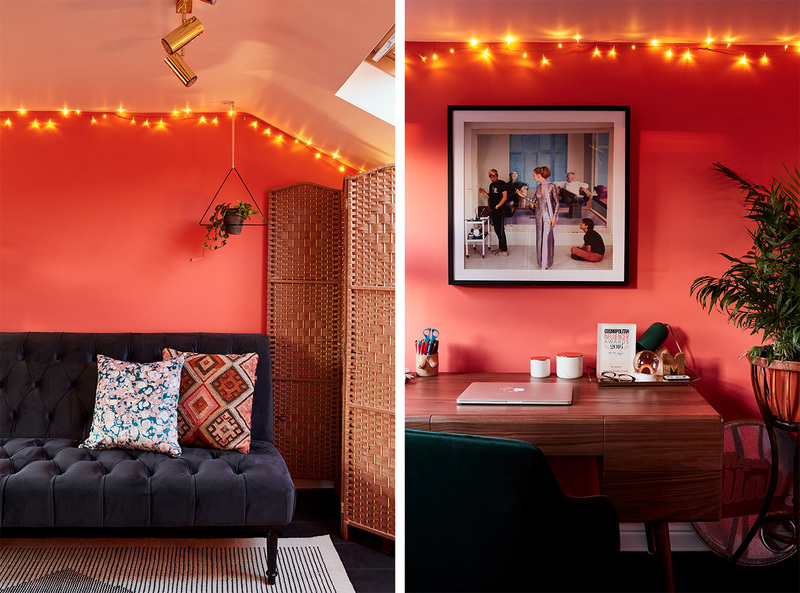 Whether it’s multi coloured lighting for a house party, warm lighting for cosy nights in or bright cool toned lighting for when it’s time to get some work done, Philips Hue has changed the lighting game for us and we’re slowly but surely introducing the bulbs throughout the house. Soft furnishings such as cushions and blankets and little nic-nacs scattered across surfaces make a house feel like a home too and thats when things really started to feel like ours. Which leads me nicely onto the next question. With so much colour are you finding you’re getting bored easily and is it hard to change? In all honesty I am not bored of our house one bit, I still walk around in complete awe of the space and what we’ve achieved in such a short space of time. I don’t regret a single thing colour wise within our home and anything I have my doubts about (such as the landing colour) I see as more of a lesson for next time. I adore every single colour that we’ve selected for each room and George feels the exact same. As I’ve said before we were always of the “wing it” mind set as we know that nothing is ever permanent and can be changed easily down the line. We both enjoy updating our home seasonly through little switch-ups with cushions and nic-nacs and we’re big fans of rearranging furniture to give the house a fresh look, for example throughout summer we had a gorgeous wooden coffee table in the centre of the living room and for winter we donated the coffee table to my sister and opted for a super fluffy rug instead to make the space super cosy. 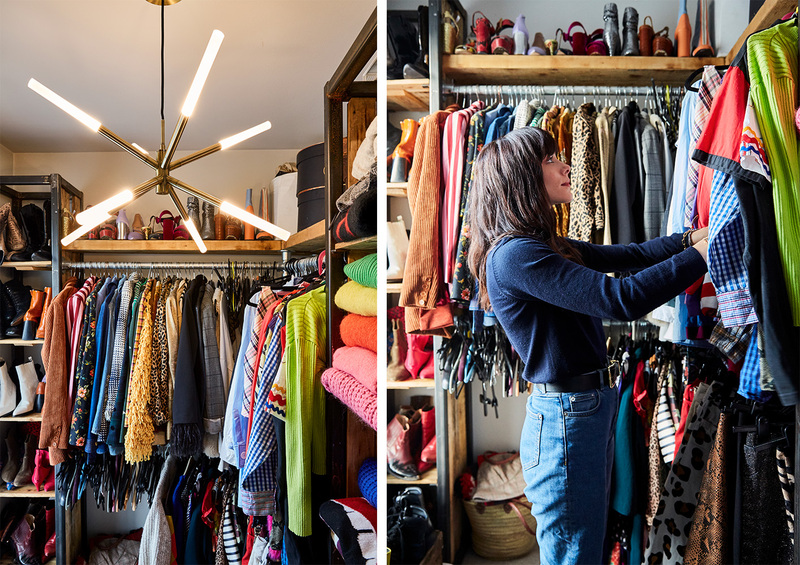 It’s those little seasonal switch-ups which make you fall in love with your space again without having to go through the rigmarole of redecorating. Which investments were worth the money and which weren’t? Okay this could be a long one as there are so many. 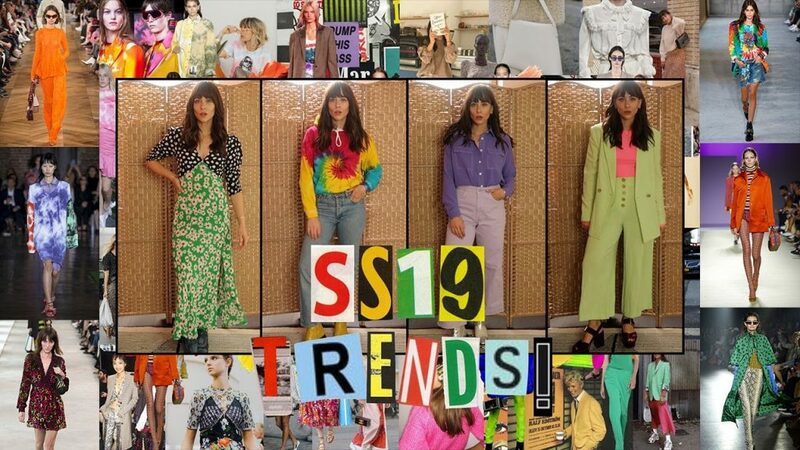 Anyway, it’s perfect and combines our love of vintage with modernity, the perfect mix of our styles and with a nod to the Manchester worker bee with the honeycomb flooring. It was much more costly than I imagined but it was worth every bit of money and stress as it’s the most relaxing little haven and my fave room in the house. The Walk-in-wardrobe is another one of my favourite things within our home. It’s inspired by the walk-in wardrobe of our city centre flat with it’s reclaimed wood and steel pole fixings. We wanted to create something totally unique and super cool as I do find that walk-in wardrobes can look a bit “Mariah Carey” if you know what I mean? This room was a small box room which meant it was the perfect space to house our clothes and shoes to really allow the bedrooms to be solely for relaxing in. This was one investment that was TOTALLY worth it and the first thing we did when we moved into the house. My pride and joy is the built in book case in our dining room as it’s always been a dream of mine to have a floor to ceiling bookcase of my own. It’s a really impressive feature when you walk into the room and adds a rainbow of colours to the space with the spines of all of our books and vinyls on show. We used a local carpenter to design and fit the case and it was worth every single penny as the reclaimed wood used is perfect and each shelf fits seamlessly into the wall, something I haven’t seen done before. We had our dining room table made to measure by Heyl Interiors and it was the best furniture purchase we made. I really struggled to find the perfect dining room table on the highstreet; a table that was made from reclaimed wood, a piece that would work with the oak flooring that was already throughout the downstairs of the house when we moved in and a piece that would sit nicely with the 1970s teak sideboard that we thrifted. I wanted it to comfortably seat 6 people and squish in 10 with a few emergency chairs thrown in and I REALLY wanted it to have hair pin legs… Not a lot to ask for hey? Well, we got there in the end, after both my mum and I scoured the internet she came up trumps with Heyl Interiors and I swiftly put in the measurements required, the wood I wanted and the legs I’d dreamed about and hey presto our dream table was made. What was even funnier of a coincidence was that the tables were styled with the same brown leather school chairs that we had already purchased from our local antiques fair so it all felt a lot like fate. The team at Heyl hand make all of their pieces and deliver it too which was an incredible service all round. 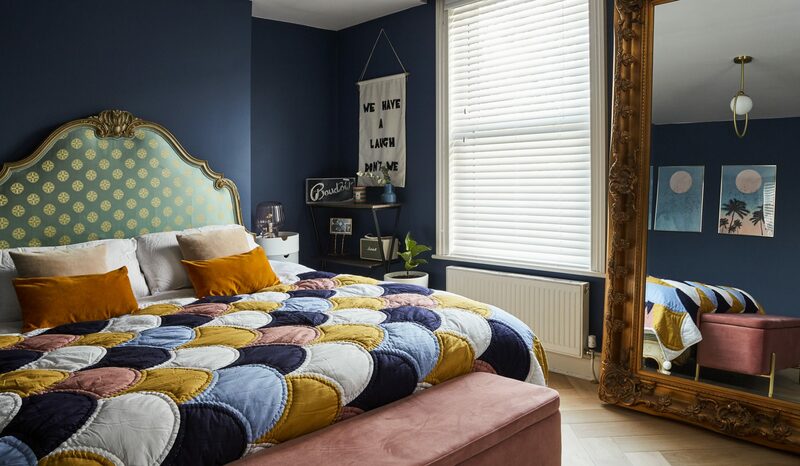 The parquet flooring that we had installed in our bedroom was one of the biggest investments we made, possibly even THE biggest investment aside from the house itself. I’m really glad we went for it as it’s completely transformed the room as, as you can see from this post here, it was carpeted when we moved in. I’m not a huge fan of carpets I must say, aside from on the stairs and landing, so I gingerly ripped up all the carpets that covered the upper floors. 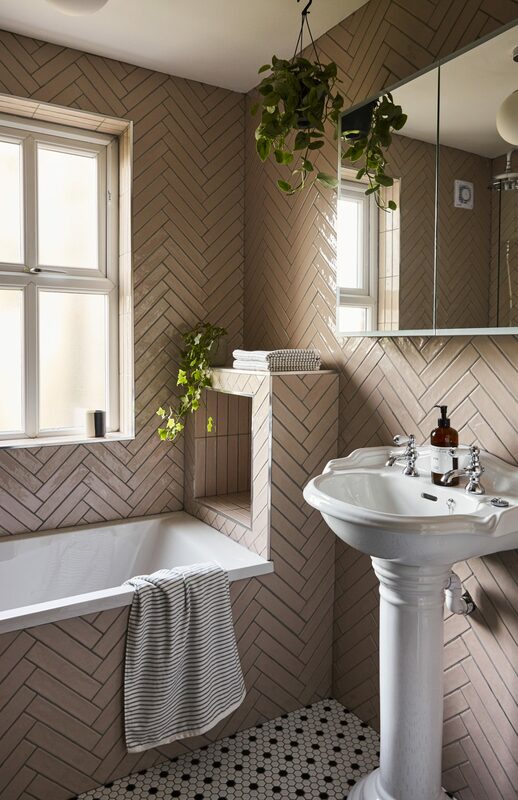 The parquet flooring was a great investment and it’s just such a beautiful design that suits the space perfectly. Using quality wood was something George and I were set on and implemented throughout the upstairs of the house with our bedroom, the spare bedroom and my office but in hindsight I don’t think it was overly necessary. The spare room and my office could easily have been done with a high quality vinyl instead to achieve a very similar look and if I could do it all again I wouldn’t go with such a dark wood for these two rooms as, although it’s the perfect shade for the decor or the room, it’s a nightmare to keep clean and dust free as it shows up ABSOLUTELY EVERYTHING! Now this is easy, I simply ADORE the teak sideboard in our dining room which is antique. We source the majority of our antiques from Old Mill Antiques in Greater Manchester which is my favourite place to spend a Sunday afternoon. The teak sideboard alongside the teak dressing table up in my office are two of my most prized possessions along with my dining table of course. I’m also hopelessly in love with the antique drinks cabinet in our dining room as it’s just so fun and so different to everything we have in that room but somehow it works a treat. 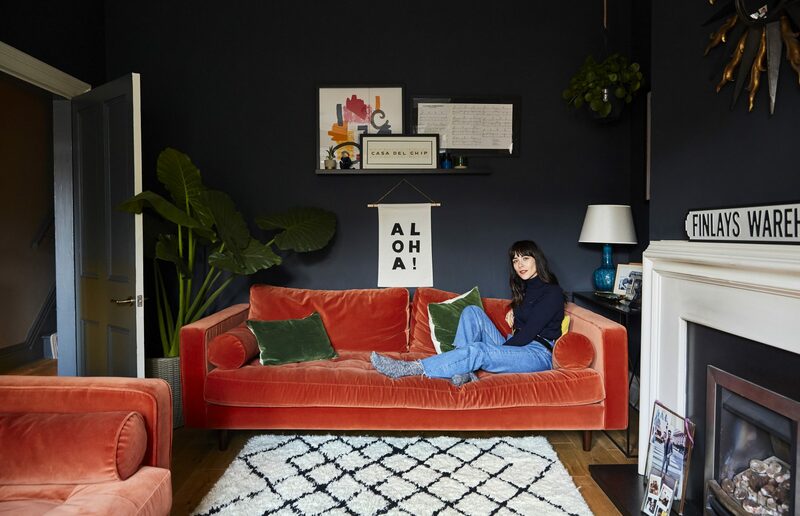 Our orange velvet sofa from Made is still one of my favourite pieces as it’s the comfiest of sofas and obviously such a gorgeous statement in that orange shade. I had a lot of questions about this piece and whether it was worth it or not and I would say YES! As far as sofa’s go it’s really quite reasonable on the price front, it’s statement and a complete show stopper for everyone who sees it, it’s insanely comfortable and it’s just cool af! However, it isn’t wearing all too well, particularly as we have two small dogs that we allow to sit on the sofa with us. It has a few stains from mucky paws, from spilt coffee and as it’s velvet it tends to act like velcro to dust… BUT I love it and I’d take it with me if we ever moved in a heartbeat. It was the most exciting thing to purchase for me as I’d dreamt of having an orange retro inspired sofa for a really long time so I truly, truly adore it and would recommend it. I’m totally in love with the striped carpet that we were kindly gifted from our friends at Arighi Bianchi, an insane interiors shop in Macclesfield, just a short drive from Manchester. Similarly to many things in the house I’d dreamt of having a striped runner for many, many, many years and I’m so glad I didn’t let the “dust factor” stop me from going with it. It’s such a beautiful statement when you walk through the door of our house and everyone compliments us on how awesome it looks but also how luxury it feels under your feet, being 100% wool and all. Unfortunately I don’t have a photo of it within this set of snaps but to take a peek head to this post on Instagram here. Do you have any tips for adding a pop of colour to a white space? Absolutely, art and soft furnishings are the easy way to do this, especially if you’re in rented accommodation. 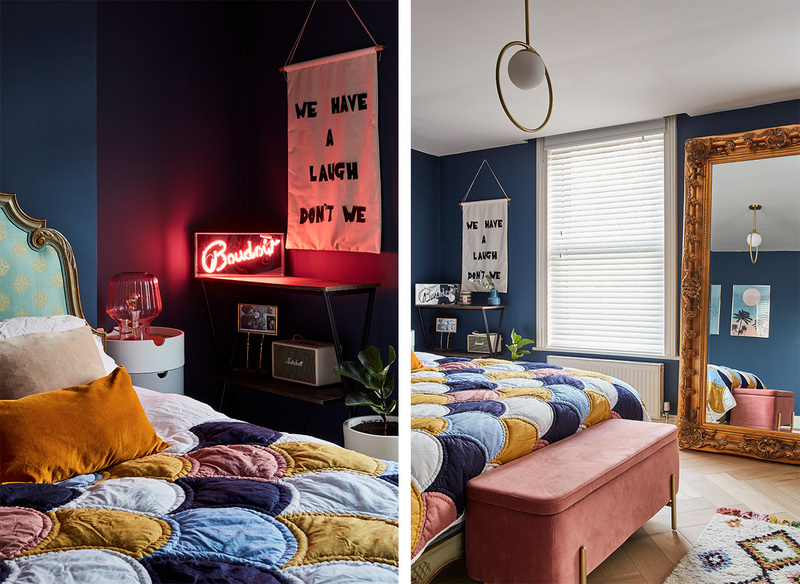 We loved updating our city centre flat in this way, it’s fuss free relatively purse friendly and a really fun way to fall in love with your space all over again. 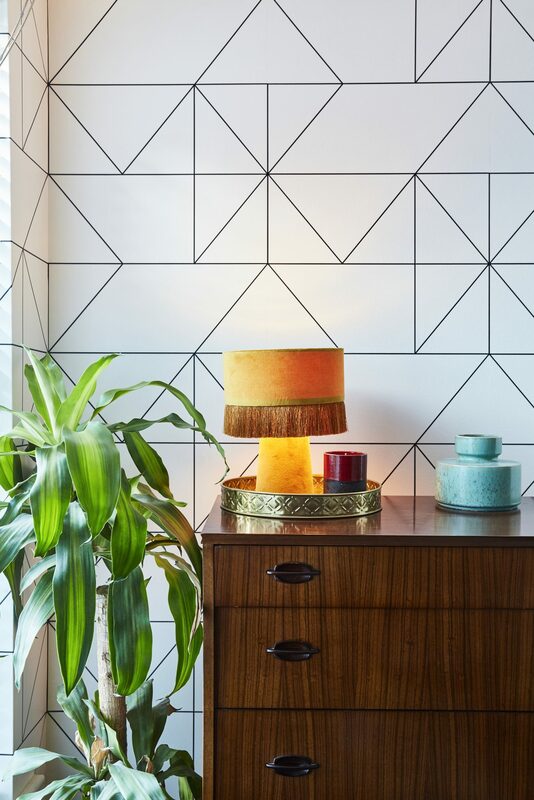 If you have the opportunity to do a little more decorating to your space but you take more of a minimalistic approach to your interior design then wallpaper is a great way to do this. Take our spare room for example, it’s still quite minimal with the monochromatic colour palette to the wallpaper, however it still adds interest and is much more exciting than just a plain white wall. We added a custom mural to my office too which I ADORE, I worked with Murals Wallpaper to bring a touch of the Maldives into the space and I love it so much. If you added something such as this leaf print to a plain white room it would make such a fun statement. 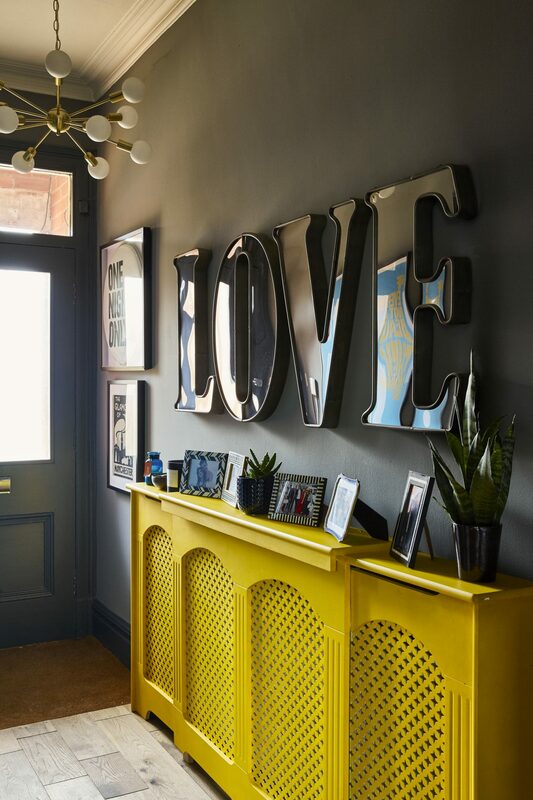 Speaking of statements, one of my favourite statements within out home is the bright yellow radiator cover in our hallway, this was so easy to do and really transformed the space entirely. Whether you have dark walls like us or a simple white decor to play with, adding a statement pop of colour such as this is such a fun way to transform something ultra boring like a radiator. What was the most difficult room to decorate? It wasn’t that any room was difficult to decorate really, but my office took a long ole time to decide on what I wanted. This was my space and I could really go to town with what I wanted up there in the attic. However, I just couldn’t decide and tbh if we stay in this house for longer than another year then I do think it’ll be due an update.  I absolutely ADORE the colour up there, it’s Cheeky Felicia by Valspar (the premium version… Lesson learnt!) and it’s a truly gorgeous coral shade! It’s a super vibrant and fun colour and makes me happy every time I see it, however what I didn’t consider was how a colour such as that would reflect BIG TIME whenever I went to film a video, which is of course a huge part of my job. This wasn’t something I ever thought would be an issue but it’s a bit of a struggle to light the room correctly for a video without getting an orange tinge throughout. Not a huge issue now, as I have so many other rooms to film in but definitely something thats a bit annoying. 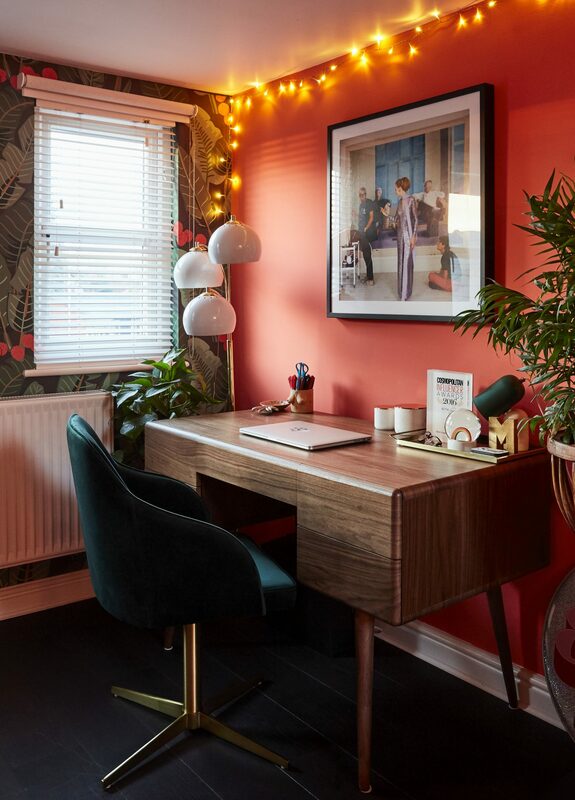 Like I said I adore the leafy wall mural and my teak dressing table combined with the walnut desk but one thing that truly transformed this space was the wicker room divider. A recent purchase but one that took this room from looking a bit like a dumping ground rather than a cosy working space as it meant that I could hide my clothing rail which is essential to my work but not the most attractive of things to see when you walk into the room. This room divider was from eBay and was super cheap and has honestly transformed the room in ways I never, ever expected. We still have a few little niggly bits left to do such as changing the plug sockets and light switches throughout the house from white to something a bit more modern and discreet. I’d also really like to refresh all the ceilings and woodwork throughout the house, not a desperate task but something that is on my to-do list should we get a moment to book in with our decorators. I’d also love to do up our kitchen properly as the white units we have in there now, although they’re nice, we didn’t pick them and I think we’d have gone for something a bit more period to suit the house. Any regrets? What is your biggest learning? I don’t really have any regrets as I see it all as one big learning curve. It’s the first house I’ve ever done up and it’s always been a dream of mine to do this kind of thing and I’ve loved every minute of it, but I have learnt a lot along the way. First up would be to do one room at a time to ensure that it actually gets finished properly- this kind of carries on from the question above with regards to little things like woodwork and electrics, these are the kind of things that don’t take long when doing up a room but when left they’re the kind of things that you never really get around to doing, so deffo take your time and ensure that the room is complete before you move on to the next. I’ve learnt that just because everyone is doing something to their homes, whether that be dark walls, wooden flooring or wallpapering (for example) doesn’t necessarily mean it’ll work in your house. Take the dark landing for example, I’d been so inspired by this online, but when put into practice with our home, the light just wasn’t right for it and in hindsight a lighter shade would have been better. Similarly to real dark wood flooring, we spent a fortune on this and I don’t necessarily think it was worth it in terms of keeping it clean at all times. Did anything go wrong with the decorating process? YES! Of course, it’s unfortunately inevitable that something will go wrong along the way but as I’ve said throughout it’s nothing that can't be fixed and whats important is to try and see the funny side… I did say try! The spare room was a bit of a palaver as it was one of the last rooms we decorated and tbh we had no idea what we fancied. 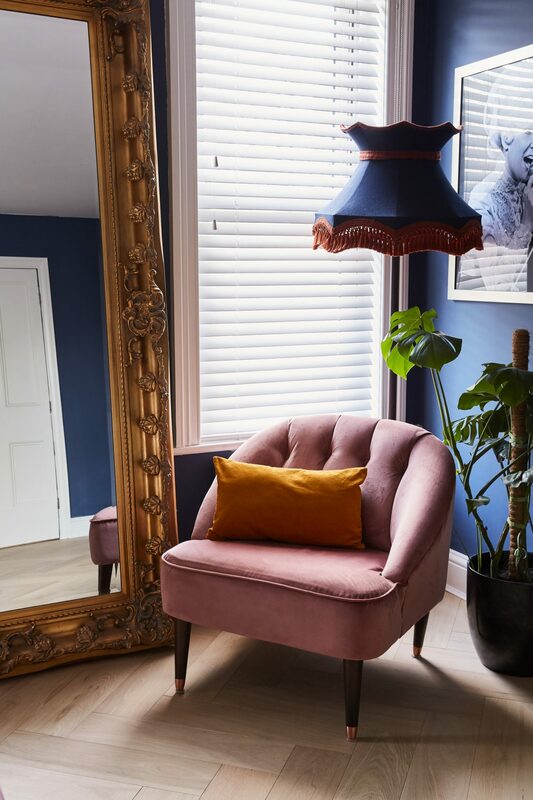 I’d seen a really dramatic burgundy room in an interior magazine that inspired me, so we hot footed to B&Q selected a Valspar paint colour and selected the “cheapest” finish. Error number one; never go for the cheapest finish option, you will need a zillion more pots to get an opaque finish and in-turn you will spend an absolute fortune! We started painting this ourselves and after 2 long days, numerous trips back to B&Q and having bought 4 large pots of the stuff we STILL weren’t finished, we then realised that we hated the colour and it was making the room look seriously small and stuffy… Excellent! We learnt the hard way that not every room suits being dramatic and dark and decided to get a decorator in to paint over the red and then wallpaper in white and black which we are now super happy with. The next minor disaster was when we decided to decorate the hallway and renovate the bathroom at the same time. We selected the carpet and booked in for the fitting only to be advised by my uncle that we had done it all the wrong way round… DUH! You don’t want to lay a fresh carpet and then rip out a bathroom as the mess is insane! That little nugget of information from my uncle was vital and something I’m passing on to everyone. I didn’t really think about the order of how things should be done, it was just important that they were done. So after a lot of re-jigging we got it all sorted and in the right order, relatively stress free. And with that I think this post is long enough don’t you! It’s been one big year of learning and I’ve loved every moment of decorating our first home! It’s been so much fun and I’m so proud of the transformation so far! I LOVED looking back and answering all your questions so HUGE thank you for sending them over! I really hope you enjoyed this post and you found it useful and/or interesting, please let me know your thoughts and if you have any further questions just pop them in the comments and I’ll be sure to answer them there for you. Your house looks incredible! I love how much colour is in it and the neon sign is perfect! Loved reading this, your house is pure interior goals!! I would love to decorate a home like this one day. 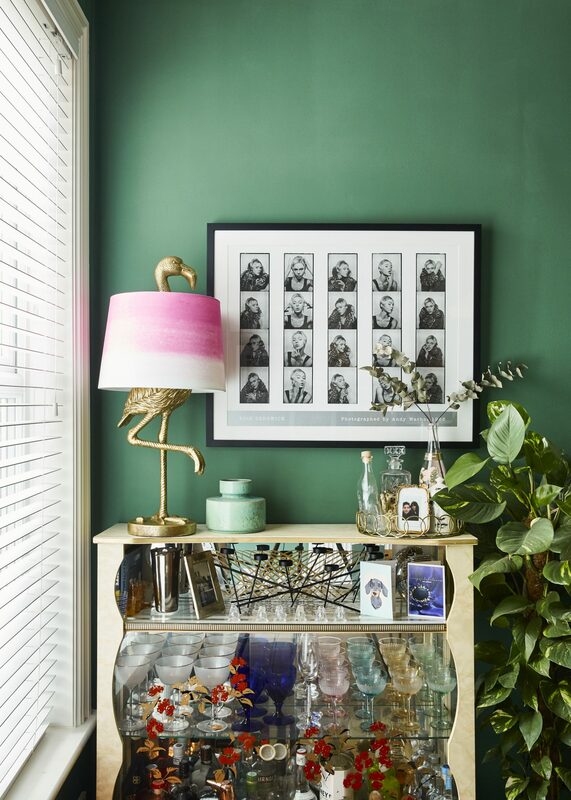 I’ve had my first attempt at decorating with my rented home, which I spoke about on my blog, https://idreamofclothes.com/2019/01/27/cheating-on-fashion-with-furniture/ — but can’t wait until I have this much freedom. Your house is such a dream! 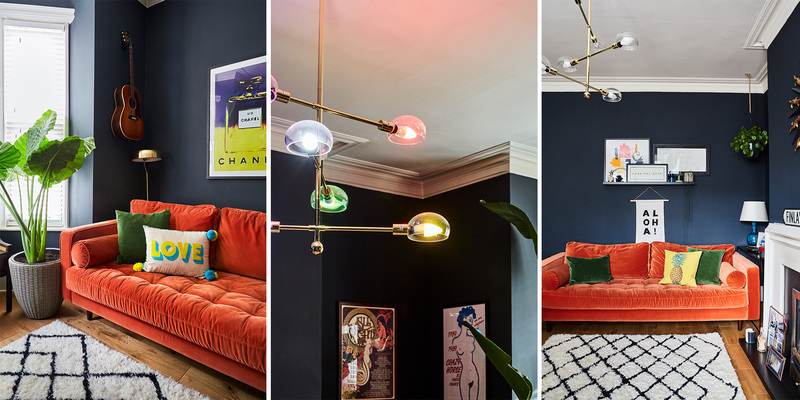 From the custom neon, to the orange suede couches, to the built-in bookshelves. You two have done such an amazing job in such a short amount of time, and it’s been so cool to see the process via here and youtube since you moved in! I enjoyed reading this so so much, thank you for all the effort that went into this post (linking everything, the gorgeous imagery etc). It’s so inspiring and keeps me going with saving for my own house one day, even though sometimes I think I’ll never be able to afford it! I really love your fashion sense and how it translates into your interior/home. Your colours, the way you structure a room, very beautiful!! I am an interior designer and loved seeing these pictures, as they were very inspiring to me!! Designing a house/apartment is such a personal thing and in my opinion it is perfectly designed, if you can ‘see’ the residents in the rooms (how it is designed)- you have definitely accomplished that. Love it! I love what you have done, but you have made me feel very old by describing the 1960s and 70s furniture as antique. It’s what I grew up with and still have a lot of. Antiques are over 100 years old, what you have is beautiful vintage. 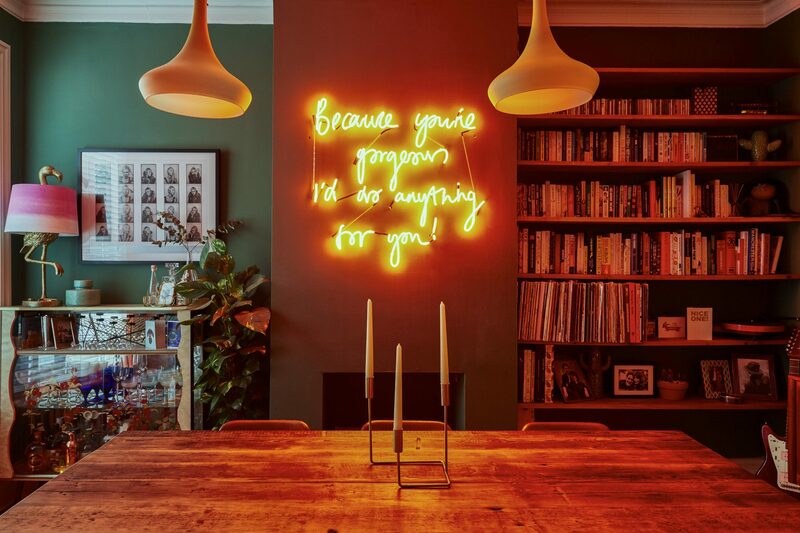 Hi, I just love how you’ve styled your house- the colour schemes, the neon, just FAB! It’s given me so much inspiration looking into styling my own home I’ve just moved in to! I was just wondering about the Made Pendant light you have in your living room… Did you manage to shorten it? It looks much higher up than mine- you would literally bang in to it it’s that low- but I don’t want to have to return it- I love it! I love your home! It’s very bold and colourful like mine. I have the same sofa but in mustard with a chaise and also have two tiny terrors that wreck it! Haha. I moved into my home around the same time as you and am not quite finished yet but almost there! I don’t even have the energy to think about moving again for a while!! How long do you anticipate staying in your home after all of the hard work you’ve done getting it to look so amazing? I love your home blog posts!